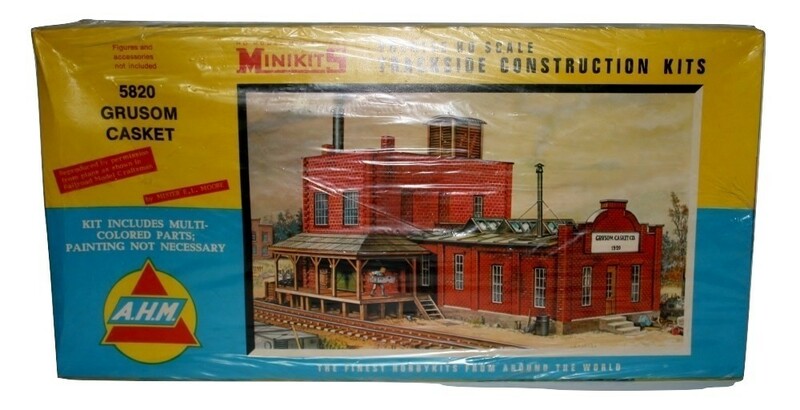 Mini Kits by AHM trackside construction kit. Box is in good condition except for left end and back have some crushing, not bad. has the original cellophane wrapping that is pretty good without holes or wripping. This went into store in 1983 until recently taken out of storeage.